Apple has a long list of rules that developers need to follow when building and submitting their apps to the App Store. The trouble with this is how it’s recently affected a number of third-party Reddit browsing clients. Some of them, including Narwhal and Eggplant, have been pulled from the App Store because they allow NSFW content. Meanwhile, the official app as well as Alien Blue, which the company acquired in 2014, weren’t taken down. Most Reddit apps have a setting to hide or show NSFW content from the subreddits you browse or are subscribed to. When set to ‘hide’, NSFW posts feature censored image previews as well as a tag indicating that it contains adult content. 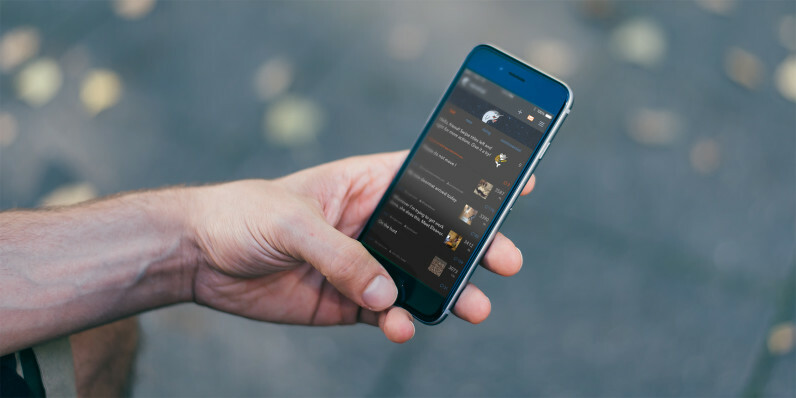 This option lets you browse Reddit content without inadvertently viewing NSFW posts at work or anywhere public where you might want to be discreet with what shows up on your phone’s screen. According to the developers behind Narwhal, Eggplant and Reddit’s official app, Apple asked them to remove the NSFW toggle in their software. The trouble with this is that Reddit hosts plenty of NSFW content, including both pornogaphic material as well as posts that may include adult-oriented imagery in communities like /r/OldSchoolCool, which is dedicated to nostalgic photos from the past century. If you can’t hide NSFW posts through the app, they’ll be displayed by default, which means someone looking over your shoulder at the airport could see it, or your child could inadvertently stumble upon adult-oriented content. It’s unclear why the option to toggle this sort of content didn’t sit well with Apple. Now, the company hasn’t messed things up entirely – there’s an option on Reddit’s site to hide images for NSFW/18+ content and this is what the official Reddit app adheres to. It seems like the way out for third-party apps is to remove their own NSFW toggle and follow the setting from Reddit users’ account preferences. Narwhal is now back on the App Store after it followed the above measure and updated its app. But the problem is that many people who have been using third-party apps for a while now may not discover this setting. The NSFW toggle for these clients is more easily accessible for those who exclusively use them to browse Reddit. Now, if you don’t turn off adult-oriented images on your Reddit account, they’ll be displayed uncensored in your favorite app. By this logic, Apple should block apps like Snapchat, Twitter and even Web browsers – after all, you can view NSFW content on any of them. The developer behind Reddit’s official app and Alien Blue, which it acquired in 2014, said that the company didn’t request Apple to take down these third-party apps, and the developer of Narwhal corroborated this. It seems to be a case of Apple fussing over semantics and causing distress for Reddit users and developers alike. Hopefully the remaining apps that were pulled will be able to sort this out the way Narhwal did.